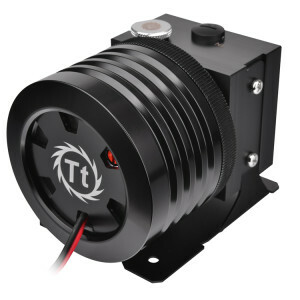 When building your next custom liquid cooled PC, pick up the TT Drain 90/45 Kit for easy maintenance with this per-configured easy to use setup. 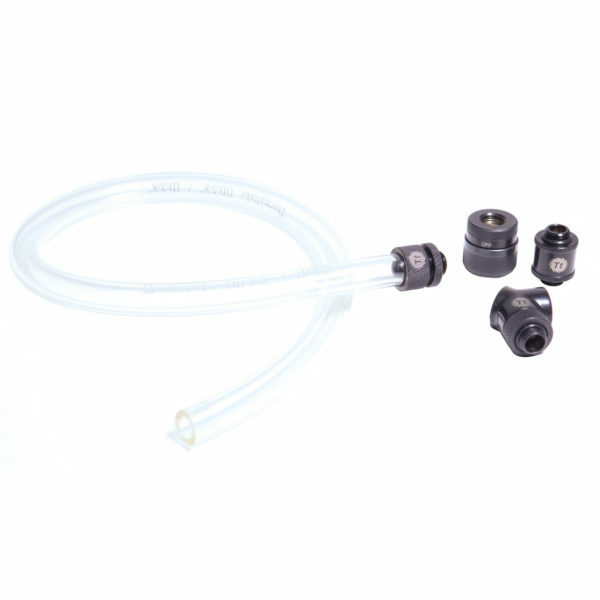 Compatible with G1/4 Thread components and ideal for applications when used with Pump/Reservoir combos, the TT Drain kit comes bundled together for fast and efficient coolant drainage with removable drain tube for easy clean up and use. Finished in black-plated copper, the TT Premium Drain 90/45 Kit is designed for users looking for proper maintenance solutions for their current or upcoming liquid cooling system. 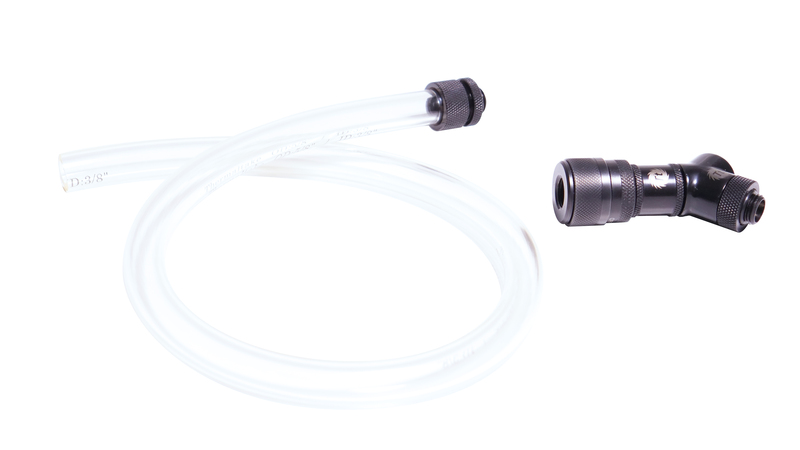 Compatible with G 1/4 threaded components, the TT Drain 90/45 can be added into existing loops especially around the pump/reservoir locations adding an additional G 1/4 to split off to start your tube runs. 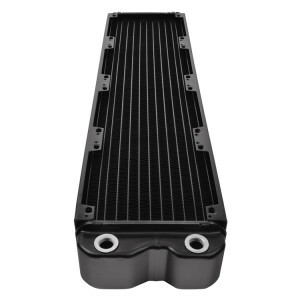 Designed to work with G1/4 threaded ports, your drain valve is ideal near the bottom of your chassis to let gravity do it job. 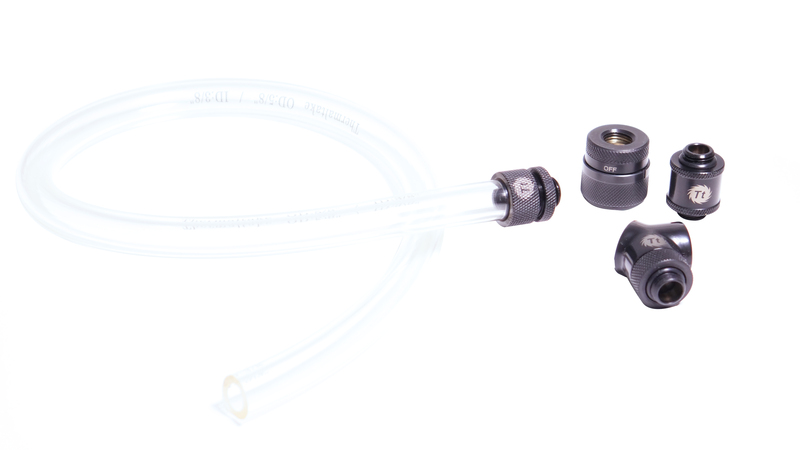 When mounting your pump/reservoir combo and planning your tube runs, adding in a 90/45 adapter can save time and convenience for easy maintenance on your liquid cooling system. 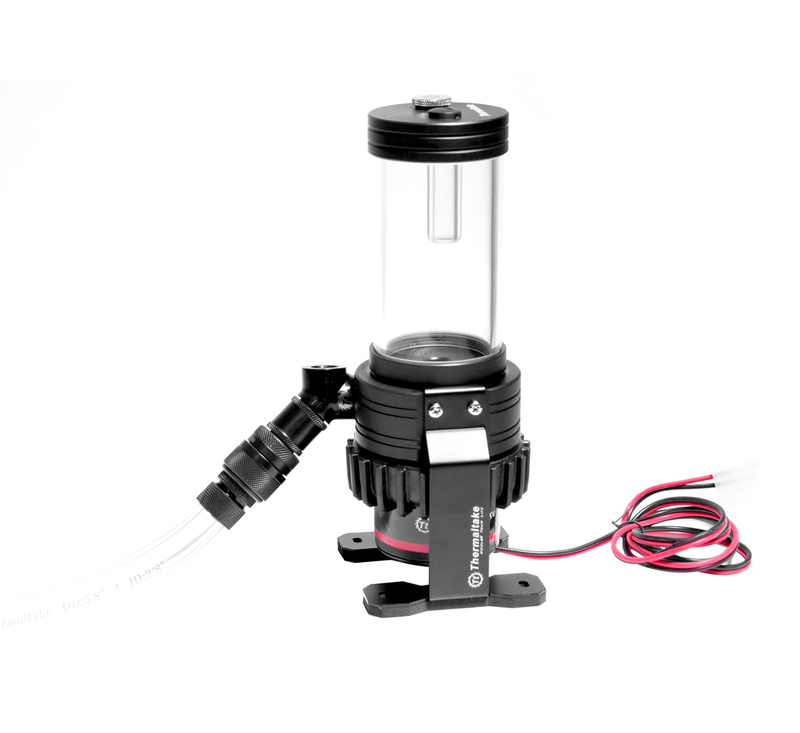 Built in swivel 90°/45° adapter allows 2 ports off your component to pump coolant through your system and when needed drain for an easy to use ON/OFF draining of your coolant and works great for flushing distilled water when doing coolant changes. 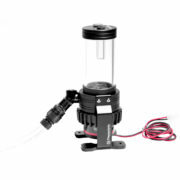 When planning your liquid cooling system, have a idea on what you will do when you eventually have to drain your coolant or just want to change it up. This is where the TT Drain Kit keeps it separated with easy to remove fitting/drain tube included in the kit to tuck your drain valve away for easy storage. 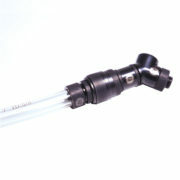 Twist ON/OFF on the drain valve to open/close the floe of coolant from the system using the extended tube included for proper drainage applications. Please dispose of all coolants drained properly and safely in compliance with health and safety regulations in your area. 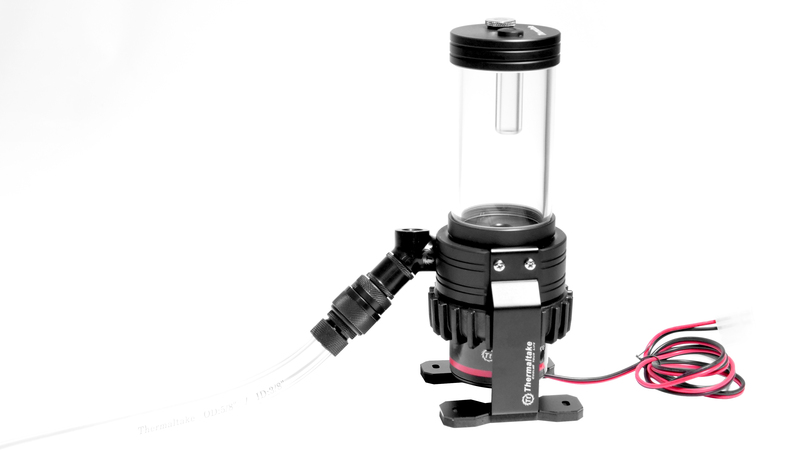 Thermaltake recommends to flush with distilled water only when doing maintenance on your liquid cooling system. 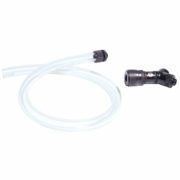 Some coolants may require additional cleaning of water blocks/tubing which may require disassembly to properly clean. Make sure to check all warranty policies for full details for a safe and clean PC.